Unconfirmed reports of a rocket fired by the Gazans into southern Israel around 4:45 this morning (Monday). Though the rocket arsenals held by various terrorist factions in the Hamas-controlled Gaza Strip have lethal capacity, and the intentions of those doing the readying, aiming and firing are entirely malicious and civilian-victim-focused, there are no reports at this stage of injuries or damage, and according to the Jerusalem Post no firm indication of where it landed. Waiting for more information. 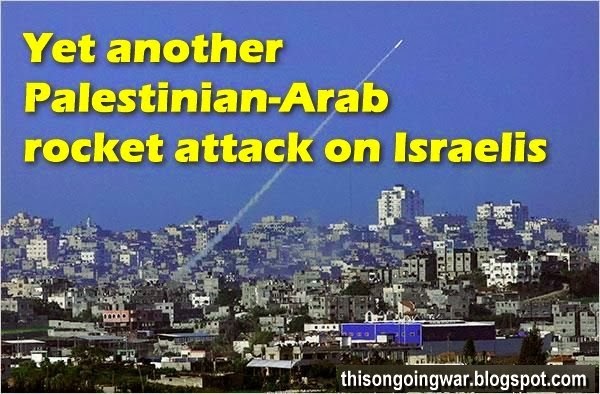 Early this morning #Gaza terrorists launched a rocket at southern #Israel no damage reported.